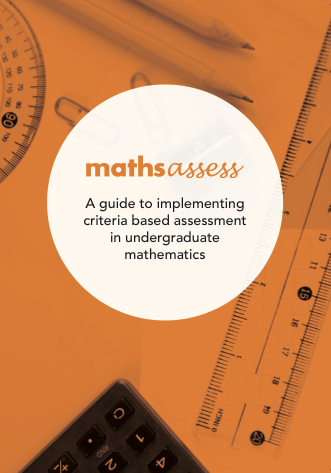 The development of this guide has been funded by the Office for Learning and Teaching through the grant provided for the project Developing a shared understanding of assessment criteria and standards for undergraduate mathematics. We are hugely indebted to the many colleagues who helped us through this journey. The guide is the product of numerous engaging discussions we had across the nation and beyond. It was informed by the insights we gathered through a series of national workshops attended by mathematics lecturers, feedback received at multiple conference and symposia presentations and from individuals who participated in trialing the criteria based assessment approach. The mathsassess national research project was led by three institutions: University of Melbourne, University of Western Sydney and Monash University.